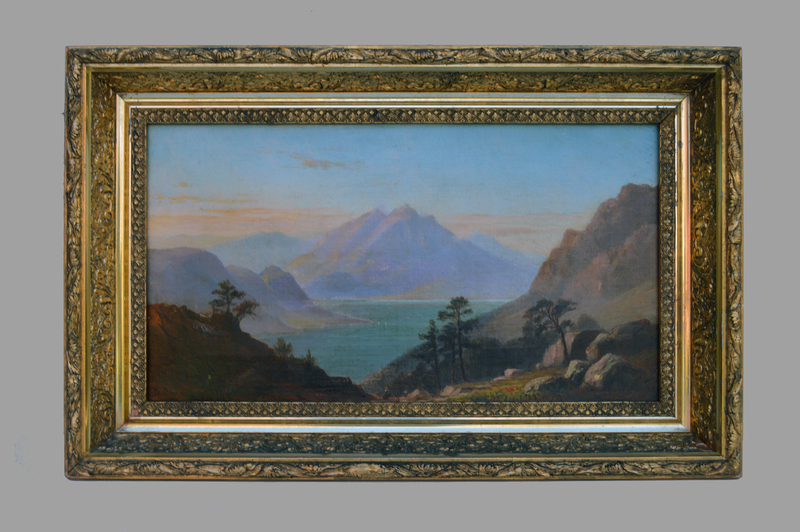 New Hampshire White Mountain artist Benjamin Champney (1817-1917) is well-known for his mountain landscapes, portrait and still-life paintings. He studied in Paris in the 1840’s and this scene is most likely a European landscape. The painting is signed, “B. Champney” on the lower left. Oil on canvas in a gold-gilt frame. 17 1/2 in. X 9 1/2 in.